-Arwassa, the Silent Shouter on the Hill, appears in "The Asylum". I do not know the scenario. Is a GOO. Description and scenario needed. Background very much appreciated. -Zvilpogghua, a.k.a. Ossadagowah, the Sky-Devil, has a brief mention in "Family Tree of the Gods" by Klarkash-Ton. Progeny of Tsathoggua and Shathak. Is a GOO. More extensive information greatly appreciated. -Ycnagnnisssz, mentioned in "Family Tree of the Gods". Progenitor of Zsystulzhemgni. Information on both greatly appreciated. -Xiurhn, Guardian of the Dark Jewel, found in "Xiurhn" by Gary Myers. Outer God of lesser powers. Locale and appearence appreciated. -Oorn. A GOO. Any other information greatly needed. As, you can see, life is hard for Wikipedia editors waiting for their Encyclopedia Cthulhiana to arrive in the mail . I am also a curious character in both senses of the word. Plus I'm a writer. It's the little things that catch my interest. P.S. Just to say it: I've decided that Carter made a mistake of calling Ghatanothoa Cthulhu's "son". He seems more like a cousin to me, and Ythogtha the big guy's nephew. However, Cthylla and Zoth-Ommog are definitely his progeny. As for the undescribed horrors, Shathak seems like something, sleek, scaly, quasi-gelatinous, many-legged, and probably winged. Namely, a cross between a Formless Spawn and a Lizard Man. Plus, Idh-Yaa struck me as either an echinodermic/cephalopodous beastie with wings or some quasi-insectoid translucent horror. Well, Kthulhut likes her . P.P.S. Also, what do Lloigor, Zhar, and Sfatlicllp look like ? Ossadagowah makes an appearance in Graham Masterton's Revenge of the Manitou as the ultimate Big Bad that evil medicine man Misquamacus is trying to call up. Sometimes the various genealogies of the Great Old Ones make my head hurt, especially if Lumley's (crappy, IMHO) works are included. Arwassa: Strange creature; it looks somewhat like a torso with tentacles in place of limbs. It's "head" is also a slightly thicker, shorter tentacle with an open toothless, featureless maw; from it it constantly emits it's trademark wailing sound. Animals will flee in a large area around the creature, while humans are slowly driven insane. The sound cannot be heard by human ears. I have never read a scenario or story containing him though, and the description is what from what I can remember from the old "ye book of monstres". Ossadogowa: Also appears in the Dunwich cycle in the story "The Round Tower" by Robert M. Price, or a creature very similar to it. He resides on the green star of Algol. Algol is a Star "near" Xoth. Ossadogowah looks sort of like Tsathoggua; just remove the forelimbs, head and fur. Now add 2 wings to it's back and give it a sort of short neck which ends in many sucker tipped tentacles. Since you have the family tree of the gods, you know that he is the progenitor of Sfatlicllp. As a note, based on Information from Klarkash-Ton's "Door to Saturn" and the description of Hzioulquoigmnzhah therein, Tsathoggua may have looked similar before his arrival on earth. xiurhn: errm...don't know more than what is in your wiki article. Oorn: Ah yes. she is the mate of Mnnomquah and looks like a giant mollusk or cephalopod with a fat pink cilia at her bottom used for movement; her tentacles have mouth like openings through which she can spew digestive fluids onto her victims, making them edible and gooey in a fairly short time for devourment. She resides in a pit in Sarkomand and has her only known temple somewhere near there too. The Moonbeasts and Lengites worship her, and she feasts upon sacrifices and any creatures that stumble upon her pit unawares. She can communicate telepathically and uses this to lure creatures to her. Though more powerful than her mate, she is considered to be subordinate to him and longs for the day that they will be..yeuch...reunited. Oorn appears in Brain Lumleys' "Mad Moon of Dreams". Hope that was of some help, I sometimes research the mythos and its beings online and own a few mythos collections, so I know a little. I recently tried to put together a theoretical family tree of the gods (for fun) and still had some info of that in me head. Zhar and Lloigor, in the stories I read, looked like big blobs of flesh covered in really long big tentacles, and thus giving the appearance of a huge ball of tentacles. I also read somewhere that there is possibly a third such creature. Together with Ithaqua, they are the children of Hastur and his grandma, Shub-Niggurath (and thus all have some sort of connection to winds, due to Derleth's Hastur). I could not find anything on her. Then who was Hastur's parent in said geneology? However, I really doubt the Magnum Innominandum to be mate to his own progenitor, mostly due to the fact that the Magna Mater no doubt has multiple mates and would probably not resort to inbreeding. In my opinion on the matter is that Hastur is the spawn of Naggoob (a.k.a. Nug or Ptmak, twin of Yeb/Cxaxukluth) and actual brother to ol' Cthulhu. I do think Hastur does share many characteristics with the Beyond One, though. Perhaps the influence is due to the fact that Shub was breeding with an Outer God and its fissal spawn. . .or spawn by the androgynous Nug. Oh, excellent, messing around with your boyfriend's father. Will they never learn ? Shub-Niggurath is said to have spawned Nug and Yeb with her brother Yog-sothoth, so she does have a history of in-breeding; however I think it would be somewhat wrong to look down on such an act, as their wildly differing "genetics" (they probably don't even have such a mundane thing) is sure to not have a degenerative deffect on their progeny, unlike us lowly humans. You mention Yeb as being the same creature as Cxaxukluth. I would like to know on what information/thesis you base this oppinion on, as I couldn't find out much about Cxaxukluth. The only thing I could find was the family tree of the gods from Klarkashton, from which a case could be made that cxaxukluth is Nug (as it is shown to be the theoretical father of cthulhu, though this is of course none other than Ptmak), but Klarkashton explains that he is not sure about the origins of Cthulhu, and that Ech-Pi-El should be consorted for further information (who has stated Nug as Cthulhus progenitor). I mean, the eldritch dark glossary mentions that Cxaxukluth *might* be Yeb, however, if that were the case, why is it also known that one resides in Yuggoth, while the other is under Mount Voormithadreth? What's your oppinion on this matter? 2.) If Cxaxukluth were not Yeb, and another being entirely, Ghizguth would still be Cthulhu's cousin. Granted, his Grand-cousin, but a Grand-cousin is still a cousin. 3.) If Cxaxukluth is Yeb, he is no longer the Spawn of Azathoth, merely his progeny. I suppose this is why Chaosium is choosing to put Cxaxukluth out as a separate entity from Yeb in their upcoming Malleus Monstrorum book. And about Ghatanothoa: I really do not know why he was made Cthulhu's son, save for Lin Carter's "sake of completeness". Ghatanothoa would have been more fitting as the spawn of a stranger creature such as one of the blasphemous twins or coming from one of Klarkashtons stranger beings. But there we go eh? Oh and thanks on the Hastur note...I do remember Yog-sothoth having been Hasturs parent from somewhere. Do you perhaps know the beings that helped Nug father Kthanid and Cthulhu as well? Yog-sothoth is said to be Hasturs and Cthulhu's father; thereby Yog-sothoth and Nug would be Cthulhu's progenitors, while Hastur is the spawn of Yog-sothoth and an unnamed entity. So they're stll both half-brothers, just with the shared progenitor of Yog-sothoth instead of Nug. Hastur, fissional spawn of Yog-Sothoth and mate of the formerly(?) promiscuous Shub-Niggurath, through her progenitor of Lloigor, Zhar, and Ithaqua; Nug and Yeb*, progeny of Cxaxukluth*, brothers being Hzioulquoigmnzhah and Ghizghuth*; Cxaxukluth, progeny of Azathoth; Zushakon and Yig, progeny of Shub-Niggurath** and possibly Hastur; Yig, progenitor of Byatis***; Zsystulzhemgni*, fissional spawn of Ycnagnnisssz*, mother of Tsathoggua; et cetera! * Appearance, locale, habits, and cults needed. *** How? Fission? A mate (if so, likely Coatlicue)? P.S. Where could one find the lineage of other, likely more obscure GOOs? P.P.S. Sorry, Shub is the spawn of the Magnum Tenebrosum which, in theory, is the progeny of Azathoth. Then again, it could simply be an avatar of the thing that reproduced by fission to produce Azathoth and his twin or Azathoth himself. I'll stick with it being a blanket term and have Ubbo-Sathla stay the brainless parent . I'll post up "my" family tree and some links for you tomorrow which may be of help. Might be the day after though; have some work to do (I'll just edit this post here). The following will be devided by "litters" moving downwards beginning with the entity that split into Ubbo-Sathla and Azathoth. If there any specific Notes concerning a Litter or Great Old one therein, I'll mark it with a * and explain it at the end of the litter. A general Note: I have not theorized any of these, and have only based this on Mythos fiction and writings. I first go over those creatures definetly descending of Azathoth and Ubbo-Sathla before covering others. I also some times mistakenly use "fissionary" to describe a birth with only one godly entity involved. *This litter is actually not a litter per se. A "creature" split itself into Ubbo-Sathla and Azathoth. Azathoth (Fission): Nyarlat*, "The nameless Fog"*, "Darkness"*, Cxaxukluth*, CyÃƒÂ¤egha*, Dho-Spawn, Star Mother, Ghadamon, Mlandoth, Mril Thorion. *Nyarlat = Later known as Nyarlathotep. *"The Nameless Fog" and *"Darkness" = These are 2 beings I know nearly nothing about; you have mentioned one of them under a latin name in your post above. *Cxaxukluth = see my thoughts about this in my previous posts. *CyÃƒÂ¤egha = He is cousin to Nyogtha, whom is the spawn of Ubbo-Sathla. Thus he is the spawn of Azathoth, at least it's likely and makes sense when you've read "Darkness my name is". Ubbo-Sathla (Fission): Nyogtha, Abhoth, Han, Chaugnar Faugn*, Yidhra*, Mappo-No-RyÃƒÂ»jin, Zu-Che-Quon. *Chaugnar Faugn = essentially untrue; however, Chaugnar evolves itself from an earthly life form, and is thus a great grand descendend of Ubbo-Sathla. *Yidhra = Came into being with life on earth, making her perhaps the direct spawn of Ubbo-Sathla. *Sebek = I am unsure if he is fissionary spawn. Perhaps he was "mothered" by Nyarlat's wife, Yhoundeh. "The nameless Fog" (Fission): Yog-sothoth. Mlandoth and Mril Thorion (sexual): Ngyr-Korath. Yidhra and Yig (sexual): Ayi'ig. *Byatis = While it is known that Yig and Shub-Niggurath have mated, and she may be his mother, Byatis may be simply Yig's fissionary spawn. I found nothing on Byatis mom, so I put him here. Yog-Sothoth and Shub-Niggurath (sexual): Nug, Yeb. Shub-Niggurath (fissional): Mother of Pus. Yog-Sothoth and "Unnamed Wind creature"* (sexual): Hastur. *"Unnamed Wind creature" = This is indeed all that is known of this craeture. Ghisguth and Zstulzhemgni (Sexual): Vulthoom, Tsathoggua. Yog-Sothoth and Nug (Sexual): Cthulhu, Kthanid. Shub-Niggurath and Hastur (Sexual): Zhar, Lloigor, Third Twin*, Ithaqua. *Third Twin = It is rumored that Zhar and Lloigor have another brother just like them. Tsathoggua and Shathak* (sexual): Ossadogowah, Gol-Goroth*. *Shathak = Her progenitor is unknown. *Gol-Goroth = Some theorize this one to be a Son of Tsathoggua, though I'm not sure if that would make him Shathak's son as well. Cthulhu and Id-Yaa* (sexual): Zoth-Ommog, Ythogtha, Ghatanothoa, Cthylla. *Id-Yaa = Her progenitor is unknown. *Knygathin Zhaum = spawn of a voormie. *Cthugha = May be the son of Aphoom-Zhah; although this seems unlikely, as this would make him Rhan-Tegoth's brother and looking at other Litters, such diverse Siblings aren't "the Norm". Also: Ghroth, Tru'Nembra, The Singer from Dhol, Suc'Naath, the unknown god and Tulzscha are mentioned as being members of the court of Azathoth and may thus be it's spawn. Ubbo-Sathla and Shub-Niggurath (Sexual): Yig, Zu-Che-Quon*. Ghisguth and Zstulzhemgni (Sexual): Vulthoom( , Tsathoggua. Yig (Fissionary)(9): Byatis*, Mappo No RyÃƒÂ»jin*. Cthulhu and Id-Yaa* (sexual): Zoth-Ommog, Ythogtha, Ghatanothoa(10), Cthylla. 2. See H.P.L. ; The All-in-One is the "brother" of Azathoth, unbegotten by even Mlandoth, not his grandson. 3. Possible. My own theory is also likely (See 5). 4. From where does this arise? 5. Theory: Switch Azathoth with Mlandoth and Magnum Tenebrosum with Ubbo-Sathla and the unusual strain in Zushakon is explained. About Yig and Shub: What source? 6. Nug is the fissal spawn of Cxaxukluth; Therefore, Yeb is too. See the hole. 7. A possibility, although fission is another. 8. Where'd that come from? 10. Ghatanothoa is probably not the spawn of Cthulhu, due to the fact that Carter isn't the most reliable source, although I commend him for his determination. 2.) Actually, in H.P.L. 's family tree (not the one by Klarkashton) it lists Yog-sothoth as his grandson. What story/source are you referring to? 3.) Again, H.P.L. 's family tree of the gods. 4.) Eldritch dark's Hyperborian glossary. 5.) The Mlandoth/Azathoth switch isn't really neccesary, as Mlandoth is just basically Azathoth+Ubbo-Sathla. However, the Magnum tenebrosum theory is nice...though I wouldn't know where to look for support of that. Yig is said to be Ubbo-Sathla's Spawn in a listing in "Robert Craven's Necronomicon" book 3. All other listings of spawn were correct, so I had no reason to doubt this one. Yig and Shub-Niggurath are said to be mates in "The mound" amongst others..I'll give a clearer answer when I can reach my books and links. 6.) When I went over the...Cxaxukluth enigma, I simply disregarded Klarkashtons claims on H.P.L's creations and H.P.L's claims on Klarkashton's creations. I.e. when H.P.L. stated that Nug and Yeb were the Spawn of Shub-Niggurath and Yog-sothoth (all his creations) I disregarded the family tree of the gods by Klarkashton. After all, the creator of the god should also be the one whom designates it's lineage (unless he never does or dies before that). So, no hole. 7.) While I cannot find the source on this, I am positive that I have read of it not being fissional, but with a deity named (quite aptly) "unnamed wind elemental". However, I can present no evidence for you to look up, except to point you in the general direction of Derleth's works. 10.) True, but the only mention of Ghatanothoa's lineage, so, for me, moot. I know nothing of Ghizguth or Cxaxukluth, ecxept for what is written of them in eldritch darks' hyperborian glossary (which includes some locales and habits for Cxaxukluth and maybe Ghizguth). Yeb is also covered in the Hyperborian glossary as the High Priest of Abhoth. Look under Abhoth. Step 1: Read the first story that mentions the creature, and the first that features it (not always the same). Step 2: Search the Internet with statements like "father of Yig" "spawn of Yig" "progeny of Yig" etc., this can be extremely grueling and arduous, but gets results. I also have some useful glossaries on my PC, which I can give to you, and some links of my sources. They just aren't accessible right now. Step 3: Read all other fiction featuring the creature, then all fiction mentioning the creature. As for Inconsistencies: I just go by the lineage which the creator of the creature mentions. Thus, if, for example, Klarkashton claimed Tsathoggua was parented by Ghizguth and Shathak, while Lovecraft claims him to be spawned by Yeb, Klarkashton is in the "right" and Lovecraft in the "wrong". My second thing that I look for is the date; first one to mention it is right, unless this would contradict my first mechanic of "the creator's right". I also only go by stories that have been printed, or referenced by Chaosium or similar beings/institutions...so that my brain doesn't explode when trying to assimilate all the fan-fiction on the net. I'm not the Vacillator, so I wouldn't survive such a gory fate. *I just marked these so I can answer them more easily once I list my sources. For the first, one wonders. About Yog: H.P.L. also claimed that he has always been. I can't remember the specific source, though. Where can I find his family tree? Second, Ghisguth and Zstylzhemgni, and Shathak is mate to Tsathoggua. Well yeah; though that was primarily Clark Ashton Smith's Thing (all of the names you mention were created by him). my bad on Tsathogguas' kin, got mixed up when making my example. And as for Yog-sothoth...of course he's always been. He is the one and all, and is coterminous with all time and space...perhaps he did not exist when time as we know it did not yet exist (that statement in itself isn't even possible by human logic, I know), yet one should remember that it is merely 1 of the limited 4 dimensions that we humans are capable of perceiving. His parent could therefore have birthed him with, or as, time. Edit: Ah, found the letter! It's from Selected Letters (to Clark Ashton Smith), Letter 617. Makes sense. I mean, Yog-Sothoth is all-transcending. Another theory is that he inhabited the Magnum Innominandum and was reborn through it. And, perhaps, this being was also his mate, producing Hastur. Then again, I could also be deranged. A note, though: H.P.L. said Cxaxukluth was Yeb and Ghizghuth was Naggoob. Impossible, since Cxaxukluth spawned Ghizghuth. My answer: Nug and Yeb may well be the spawn of Cxaxukluth, which does leave Yog in there, since his one time mate was Nug/Naggoob. Ghizghuth, then, would be Cthulhu's uncle and Hastur's half-uncle. Yes, since we don't know who or what the magnum innominadnum is, that is possible. It really depends on it's description. I'm hoping to learn more about the creature and "the cloud thing" and "the blackness from the stars" when the malleus monstrorum comes out this summer. The cloud thing could also be the nameless fog, Yog-Sothoth's parent (though that's a leap of thought I'm not willing to back up yet) . As for the Cxaxukluth enigma, while being possible, it would go against H.P.L. 's claim that Yog-Sothoth and Shub-Niggurath spawned the Twin Blasphemies, which is what matters to me ultimately since he is the creator of all beigns involved, as I've explained in my previous posts. However that WOULD make sense. It's however impossible to say what their intention was here (though I think they just didn't have any intention of clearing it up) and no mythos writer has touched this thing with a ten-foot pole, so we'll never know. Since Cxaxukluth has his own description, he isn't an avatar of the two (Yoggie and Shubbie) so that wouldn't work either. Ah yes, I also have a question, which is important to my family tree. You mentioned the Magnum Tenebrosum (which I presume to be "the darkness" I mentioned later) to be Shubbies parent. I need to verify that for my own theories, so could you give me a source? The Nameless Mist/Magnum Innominandum is considered Yog's parent; In my own theory, more likely its mate. See my previous post. As has been noted, Cxaxukluth is one of CAS' weirder entities. I suppose one must ponder whether one makes more sense. Klarkash-Ton noted that Cthulhu was related to Cxaxukluth, but likely not its spawn. A note, however: Either way, Yog and Shub are involved. The Black Goat is mate to both the All-in-One and its spawn, the All-in-One is mate to Nug, etc. Anyway you look at it, Time and Reproduction are always involved . Why is the mythos overpopulated? Because contact with this stuff is not good for the brain and madness produces confusion. Why the ludicrous names? Because people are trying to render what they hear onomodopoetically and have also gone mad when they heard the "words" or between hearing the words and writing them down. Family trees? No mythology; take a look at Greek mythology and you will see Zeus is everyone's father, except when he's not. 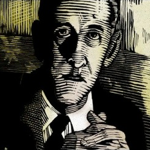 HPL's family tree was meant to add fuel to Ashton's obsession not because HPL wanted a definitive list, but because he wanted the sort of confusion that naturally accumulates around real myth-cycles. Very precise, but slightly scary . Where can I find the quote linking Zu-Che-Quon with Shub-Niggurath and Hastur? I'm currently interested in this deity and have some placement problems for it. @Silent One: Are you the guy who expanded the wiki article to it's current size? If yes, then hats off man that's alot of information. After I post this I'll edit my familiy tree with changes to Yig. edit: Also added Blurb about the Azathothian court members at the bottom. @Silent One: Are you the guy who expanded the wiki article to it's current size? If yes, then hats off man that's a lot of information. Something that may intrest you is that both Xiurhn and Oorn are mentioned in the Dreamlands sourcebook. According to Chaosium, Xiurhn isn't an Outer God, but the servant of one (the Night). He lives in the Vale-Which-Is-The-Night in Mhor, in the Dreamlands.